ATC CMC LTD Delhi Preet Vihar (A TCS Subsidiary) offers 6 Months project based Industrial Training to B.Tech/MCA students on most advanced technologies with Job Assistance. CMC E& T Delhi - Noida - Faridabad. 6 Months project Training/Internship in Delhi/Noida @ CMC Delhi (A TCS Subsidiary). Live Project Based Industrial Training In CMC Noida / CMC Delhi. Call @ 09555902440. 1. 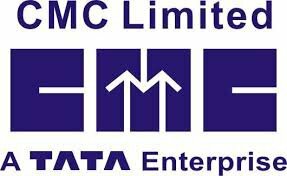 CMC Limited is a 38 yrs. old company. 2. Having R&D Centre at Hyderabad. 4. Strategic alliance with Microsoft, Oracle Sun, HCL Technologies, Tech Mahindra and many more…..
5. Sessions on Live Project by seasoned/practicing corporate trainers for better understanding & Developments. 6. Industry Oriented Curriculum for skill development & enhancements. 7. Sessions on Aptitude, HR, Personality Grooming, Communication Skills for Placement orientations. 8. 100% Career Guaranteed Program.